I have been incredibly impressed by Karity thus far as a brand honestly. This eye shadow is amazing and can hang with the best of them. 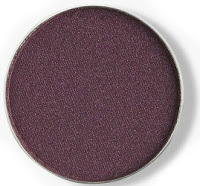 It's creamy and soft in texture, it's pigmented, and it lasts a long time. There are over 45 different shades, and you can get them as singles or in palettes. The packaging is interesting though. I usually like my shadows to come int heir own compact, that is easy to depot them from. This comes in a small cardboard pouch and is just the single pan. It's meant to be put into a metal palette like a ZPalette or on of their own metal palettes. However most brands that sell these single shadows in a pan like this they come in a cardboard envelop you have to slide it in and out of. This actually has a top that folds up in the cardboard envelop as well. It's not sturdy, but it's a lot better than the norm.There is more protection and less opportunity for damage when sliding it in and out of the packaging. The best part though? The price point. It's only $4 per shadow! Most brands that I feel have this quality are $10+ per shadow pan! That includes Anastasia Beverly Hills (I REALLY feel this is as good as them! ), MAC, Urban Decay, and Tarte. I actually feel this is better than UD and Tarte too! In the palettes these break down to under $1.50 each!Although if you get a palette the pans are not magnetic palette compatible, but a few ZPalette magnetic stickers should do the trick. Click here to check out Karity.com and click here to go directly to the eye shadows themselves!. Use the code FRIEND-C6H9JVH at checkout for $5 off your order of $10 or more! If for some reason the coupon code isn't working, click here for $5 off.